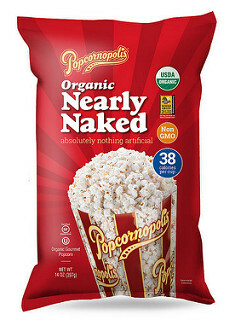 Beginning March 13, Organic Nearly Naked is in Costco stores across the country selling for $5.39 a bag. 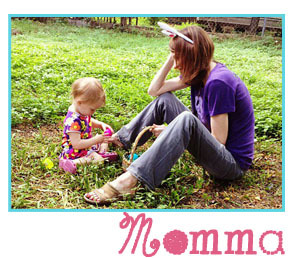 From April 19 – May 13, the cost will drop to $3.49. Family-owned-and-operated artisan popcorn purveyor, Popcornopolis, is now available in Costco with a limited in-store promotion of Organic Nearly Naked popcorn. Until May 13, this delicious, light and fluffy popcorn is Gluten-Free, has only 38 calories per cup, is non-GMO and USDA Certified Organic and is only $3.49 a bag! Now that’s delicious! Popcornopolis was founded by Wally and Kathy Arnold. In 2003, the Arnolds opened their first Popcornopolis retail store at Universal City Walk in Los Angeles, California. 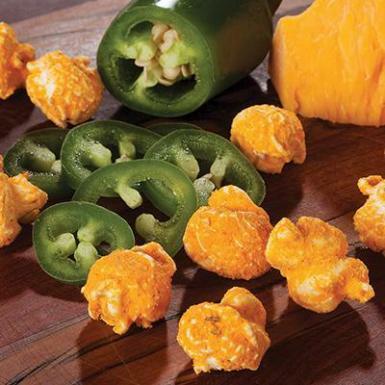 As brand loyalty and product offerings grew, new Popcornopolis stores opened in California, the Midwest, and New England. Today, the family-owned company’s iconic packages can be found in grocery and club stores, professional sports stadiums, movie theaters and at www.popcornopolis.com. Committed to giving back to the community, Popcornopolis has raised more than $15 million for non-profit groups by partnering with organizations that support youth and education across America. 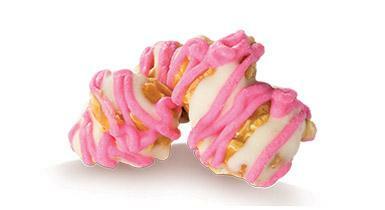 Discover all the amazing flavors of Popcornopolis including Jalapeño Cheddar and Strawberries & Cream!